So right now if you are reading the title, Funfetti Cheesecake with OREO crust, you are like wha??????? And I’m like yaaaaaaaaaa. 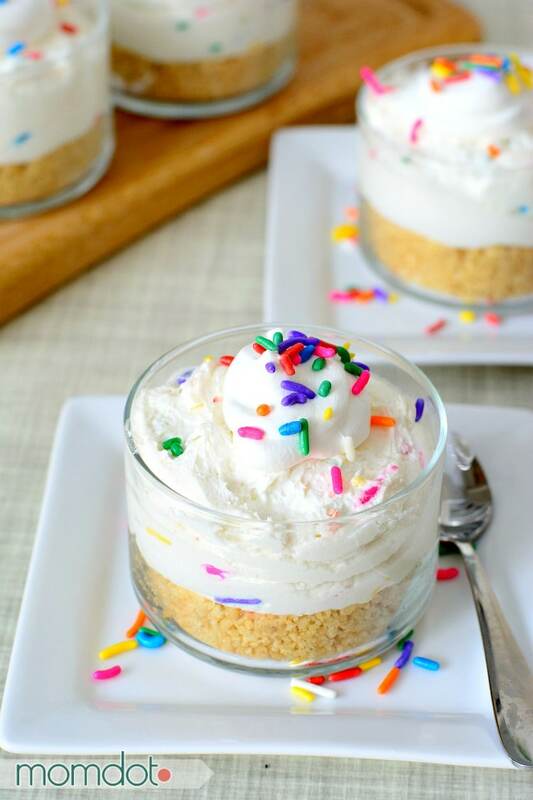 This NO BAKE Cheesecake is like decadence on deliciousness topped with “it doesn’t even have to be your birthday” to indulge. Are you feeling me?? 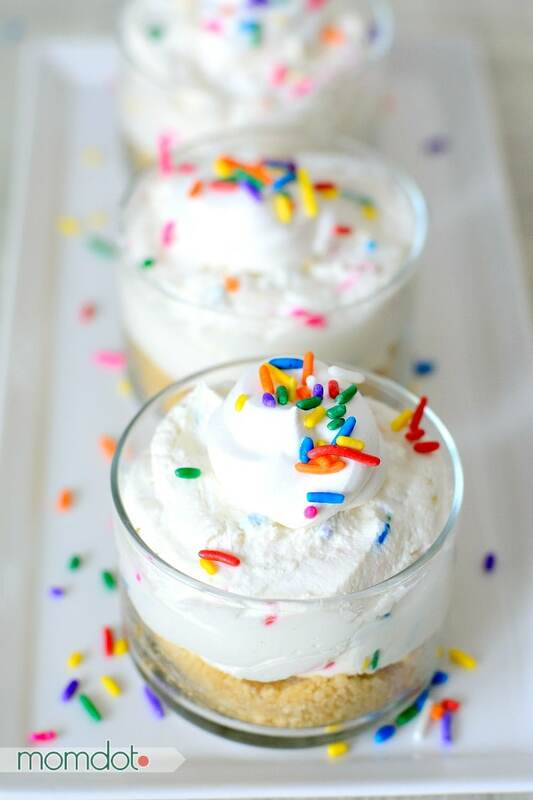 This is such an easy cheesecake recipe for an after dinner treat or is perfect to serve instead of traditional cake for a fun perfectly portioned desserts. Plus, we included some extra sprinkles, which instantly make it fairy-fied. Yes, fairy-fied is a word I made up. Let’s roll with it. Plus, with Golden OREO crust, you have a second reason to buy a container of Oreo’s at the store. Not that you need a reason, I know I don’t. Those things are like instant addiction for a stay at home mom that needs a minute in the pantry alone. Of course you can always use graham crackers, pretzels, or even gingersnaps but I prefer an Oreo crust for sure! Place Oreos in a food processor and pulse until cookies turn into fine crumbs. Stir Oreo crumbs and melted butter in a bowl until well combined. 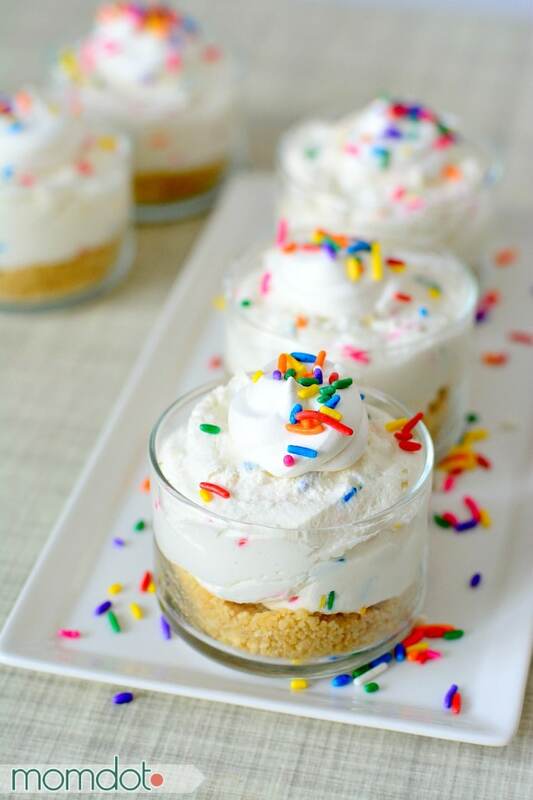 Press a few tablespoons into the bottom of your dessert glasses to make the crust. Beat the cream cheese and butter together on medium speed (use a hand mixer or stand mixer) until smooth and well blended. Add in dry cake mix and milk and continue mixing until well blended. Spoon the filling on top of Oreo crust, refrigerate for 30 minutes, garnish with sprinkles and serve. 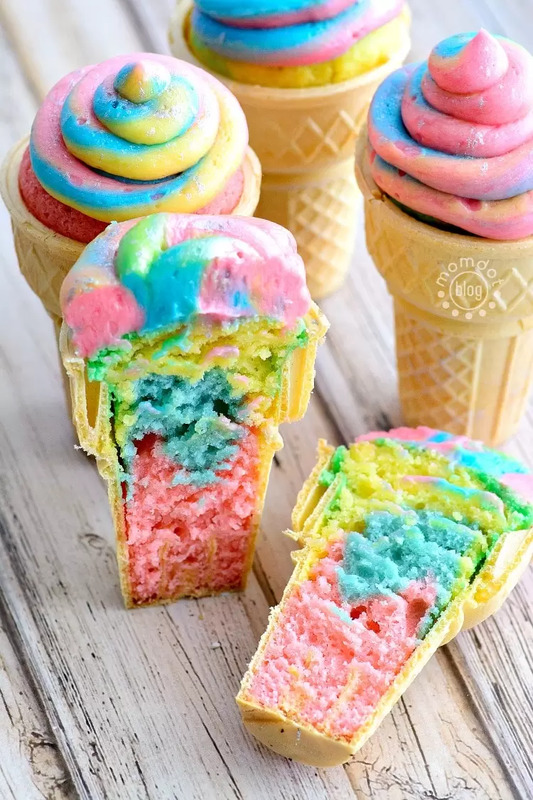 Do you love fairy and rainbow food items as much as I do? First follow me on Pinterest here. Second, try one of these other great recipes!